Beginning about 10,000 years ago, it is believed, our ancestors set up field labs—yes, that ugly word—to randomly experiment on this odd grass with hard buds. Through trial and error, cobs became larger and slightly more edible over the centuries, and with more rows of kernels, eventually taking on the form of modern maize. Modern sweet corn yields 100 times more than teosinte, a testament to genetic modification. Modern bananas, eggplant. Brussels sprouts, and almost every food we eat, have been genetically altered in some way by humans. Over the centuries we’ve genetically modified thousands of foods. Scientists at the International Rice Research Institute developed flood tolerant rice by moving rice genes from an ancient rice variety to modern varieties using marker assisted breeding. The modified rice has led to a boom in yields in flood prone areas. GMO critics seem comfortable with that kind of genetic manipulation. But when it comes to inserting genes from one species into another, many people go “yuck,” claiming that it is “totally different” than conventional breeding. Let us look at some examples of genetic modification that are different than conventional breeding—genetic engineering. Thirty five years ago, the Hawaiian papaya was facing what many thought was its end game, threatened by the ringspot virus that had first appeared in the 1950s in Oahu, nearly wiping out the entire island’s production. By the 1980s, most farmers and scientists believed the delicious fruit was doomed. But not Dennis Gonsalves. A local Hawaiian, Gonsalves had grown up with the devastation. While others threw up their hands, he went into the laboratory, working in Hawaii and at Cornell University, where he was a plant pathologist. With government funding, and with major corporations donating the patent rights to facilitate his research, Gonsalves placed a small snippet of “foreign” DNA into the papaya—a virus that effectively inoculated the papaya from the ringspot disease. “Eeeew,” say GMO critics: a virus injected into food? That is dangerous. That is mixing across species. That is Frankenstein’s work. Well, it is really not much different than what happens every day in millions of doctor’s offices around the globe. Humans are injected with viruses in vaccines to protect against polio or other diseases. Yes, in theory, getting a vaccine is not much different than genetically engineering a vaccine into a plant. The genetically engineered papaya carries just trace amounts of the virus. In contrast, if you bite into a conventional or organic papaya that is infected with the virus—and many people do because it is not always easily observable—you will be chewing on 10-fold more viral protein, and it will not harm you. What happened? Gonsalves’ pioneering work rescued a dying fruit and revived a critical Hawaiian industry. Today there is still no other method to control this disease. In fact, 80 percent of all Hawaiian papaya is genetically engineered, and it is eaten in many countries, sold in Costco and grocery stores alike. GMO papaya is perfectly safe, and has been a savior. The future of genetic engineering, what I refer to as “Biotech 2.0,” will lead to many stories similar to the rescue of the papaya—if GMO opponents are not successful in scaring people away from this technology. A nasty pest, the fruit and shoot borer, feasts on eggplant (brinjal), a staple in some countries like Bangladesh. It has devastated production. Farmers are forced to spray dangerous insecticides as much as twice a day. That is expensive and leads to collateral health problems in workers. The World Health Organization estimates that 300,000 people die every year in Bangladesh and other less developed countries because of the overuse of pesticides. That is shameful when there are GMO alternatives. To confront this potentially devastating challenge, researchers in Bangladesh partnered with Cornell University to develop Bt brinjal, South Asia’s first GMO food crop. It is not owned or patented by major corporations. It is grown from public sector seeds, developed for distribution to resource-poor shareholder farmers. Bt brinjal has natural pesticides built in—the kind found in every plant—engineered into it. Pamela Ronald, a distinguished plant geneticist at the University of California-Davis, has spent her career trying to draw on the best sustainable practices of organic and conventional agriculture. As she has explained it, organic farmers in developed Western countries often spray an insecticide, called Bt, that is highly specific to pests but is nontoxic to birds, fish and humans. It is less toxic than table salt. It has been used safely in organic farming for nearly 100 years. In the organic approach, she noted, the bacteria is grown in industrial fermentation tanks and processed to produce a formulation of bacterial spores that is sprayed on plants. But this strategy does not work well for eggplant farmers in Bangladesh. That is because sprays are expensive, hard to find in Bangladesh, and do not prevent the insect from getting inside the plant. With genetic engineering, scientists cut the gene out of the bacteria and inserted the bacterial gene directly into the eggplant genome. It works and it is safe; just ask organic farmers. Activists are using what amounts to a “nuclear option,” raising the specter of health fears. Among other nefarious tactics, anti-GMO activist posing as journalists have been telling farmer that their children could become paralyzed from eating Br brinjal. This parallels the sterility/infertility myth that has been spread about GM crops elsewhere in the world, in particular in sub-Saharan Africa. Bt crops are activists’ worst nightmare: they offer a compelling narrative about how this technology can help the poor. The exact same technology sweeping through Bangladesh has been used in India, on cotton fields. Introduced barely a decade ago, now upwards of 90 percent of Indian cotton is grown using Bt seeds. It has resulted in a huge jump in output, and just as importantly, a sharp reduction in health problems related to the overuse of pesticides. Bt corn and soybean is widely grown in the United States. You may have read, from anti-GMO websites or oh so reliable sources like Dr. Oz, or Jeffrey Smith’s Institute for Responsible Technology or Food Babe that the use of GMOs has unleashed a pesticide tsunami that is sweeping across the plains. Not. According to the USDA, since the introduction of Bt crops in the United States, over nearly 20 years, the U.S. corn farmers have cut their chemical sprays ten fold. It is win-win—unless your goal is to sabotage the technology. Let us return to the story of our organic basket of “natural” goodies. Brace yourself: Unlike the foods grown from genetically modified seeds, in which scientists precisely modified one or two genes, then tested the heck out of them for safety and allergenicity at a cost sometimes reaching $250 million dollars, these foods were created by bombarding seeds with radiation and corrosive chemicals to create tens of thousands of random mutations. It took scientists six years and tens of thousands of failed random experiments until they lucked upon the mutant mess that we now lovingly embrace as juicy red grapefruits. The process is called mutagenesis. Radiation breeding was discovered in the 1920s, first using gamma rays and then X-rays. It often takes place in laboratory Atomic gardens, and seeds have been sent into orbit in order to expose them to more cosmic radiation. An array of chemical mutagens has also been used, including Ethyl methanesulfonate and Dimethyl sulfate. Have these lab-created mutants with tens of thousands of untracked modified genes ever been tested? No. Are they labeled? No. In fact, 3,200 ornamental plants and common grains, fruits and vegetables created through mutagenesis are eligible to be sold as organic. Makes the Frankenstein argument sound kind of silly, yes? Anti-GMO crusaders assert that you might need at least a century of testing to confirm that any lab induced food changes are safe. If their logic has any validity—that precisely altering and tracking the insertion of one or two genes (or no genes in the case of the most modern genetic modification techniques like CRISPR and gene editing) can have dangerous and unknown consequences—then you will might just keel over dead from consuming organic Tuscan noodles. Do you really want to risk turning yourself into a ticking time bomb by eating foods mutagenetically created in breeding laboratories? Of course, as any one familiar with genetics and food science would confirm, although mutagenesis creates tens of thousands of untracked mutations, the chances of creating truly harmful ones are extremely remote. Food is inherently safe. But it does underscore that maybe, just maybe, what you are hearing about GMOs and food safety are not exactly accurate or in context. It is odd being asked to “defend” crop and animal biotechnology. (As shorthand, I will use the term GMOs, representing “genetically modified organisms,” although that’s a misleading acronym, as I’ll later address). Few people except extremists like the Organic Consumers Association are challenging the safety of more than 200 remarkably effective and safe GMO drugs, including a breakthrough Ebola treatment developed by genetically engineering a tobacco plant. The process to make them is identical, so in a rational world, all the opponents GMO foods would be up in arms about the use of GMO insulin, safely used for more than two decades now. But food is viewed differently, perhaps because we engage with it every day, multiple times a day. We are all experts about food, so we think. This fact partly explains why when it comes to food, people get a wee bit irrational. People may have more superstitions and taboos about food than about practically anything else they experience. Yes, there is a vigorous public discussion over GMOs. Yes, the thought of tinkering with our food in a lab—unaccountable scientists mixing steaming flasks—conjures up visions of soylent green and grotesque deformities. Let us acknowledge it; no one wants “technology” for dessert. The thought of GMO foods is not appetizing! We will return to that faux narrative later. But it is important to settle the issue of whether GMOs are safe. It turns out that a huge chasm separates the views of the average Joe and Jane from mainstream scientists. Simply said, mainstream science has reached the consensus conclusion that GMOs are safe—at least as safe as conventional and organic foods, and most likely safer. In sharp contrast to public opinion about GMO safety, 89 percent of American scientists polled believe genetically modified foods are safe. That was the most eye-opening finding in a Pew Research Center study on science literacy undertaken in cooperation with the American Association for the Advancement of Science (AAAS), and released in January. The survey represented a sample of 2,002 adult citizens and 3,748 scientists, all members of the AAAS. 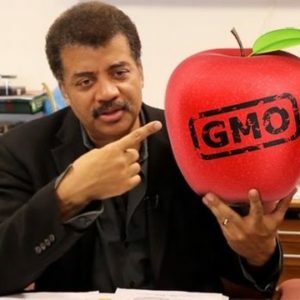 In contrast, PEW found that some 57 percent of Americans questioned the safety of GM foods, although the opinion of many of those skeptics was very weak, and their understanding of what GMOS are was often thin or wrong. 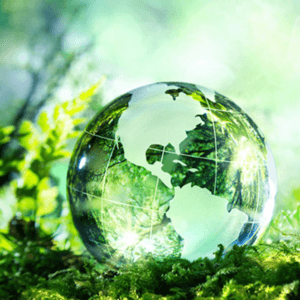 Startlingly, the overwhelming scientific consensus on GMO safety exceeds the percentage of scientists, 88 percent, who believe humans are driving climate change. And it is about equal to the percentage of mainstream scientists convinced that humans are the product of evolution, rather than Creation, and vaccines do not cause autism. Those conclusions all garner about a 90 percent consensus. Similarly, a fringe group of well-known campaigning scientists and activists leaders known as the European Network of Scientists for Social and Environmental Responsibility challenges the consensus on GM technology. Gilles-Éric Séralini and his colleagues and allies lead ENSEER, as it is called. Séralini’s discredited 2013 study attempting to link GM foods to cancer in rats was retracted before being republished in an obscure pay-for-play journal with no peer review. “As scientists, physicians, academics, and experts from disciplines relevant to the scientific, legal, social and safety assessment aspects of genetically modified organisms (GMOs), we strongly reject claims by GM seed developers and some scientists, commentators, and journalists that there is a ‘scientific consensus’ on GMO safety,” ENSEER states on its website. Its petition has a few hundred signatures, none from prominent independent researchers. That is no surprise. 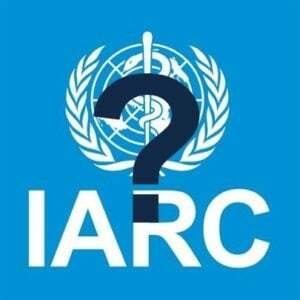 The statement veers sharply from mainstream science—independent academic and government researchers with no ties to the biotechnology industry. More than 100 of the world’s independent science organizations have endorsed the safety and sustainability of GM food technology. And they did not just reach that conclusion out of a vacuum. A meta-study of more than 1,700 peer-reviewed studies by independent Italian university scientists found no evidence that GMO crops produce adverse effects in humans or livestock. It is estimated that there have been more than 3,000 safety and environmental studies on GMOs, with more than two-thirds performed by independent researchers. Consensus statements alone should not necessarily convince skeptics. Experts can be wrong. (Anti-GMO campaigners like to claim that American medical establishment widely endorsed the safety of cigarettes into the 1960s, but that is a fabrication. There were official statements by mainstream science groups citing adverse health effects dating to the 1920s. And let us hope global science is a tad more sophisticated than it was a half century ago.) Consensus statements are important, however, because they represent the views of researchers familiar with the intricate science of genetics and abreast with the latest research. Can we trust U.S. scientists or regulators? That’s a familiar meme: invocation of the industry-government axis. Consumer Reports crossed over from independent critic to hard-edged activist on the GMO issue when it hired Michael Hansen, a dedicated ideologue, as its senior scientist more than a decade ago. Like UCS and many other advocacy NGOs, it attempts to sow doubt about the North American regulatory structure. “You may be surprised to know that the federal government has not mandated that genetically modified organisms be proved safe before they’re used in your food,” claims a recent CR blog post. Testing is “voluntary,” they say, which means the public is not protected. In fact, while the word “require” is not found in Food and Drug Administration regulations, there is no question that it requires all foods placed on the market in the United States to be safe. Violators are subject to criminal penalties. The FDA relies on tests from submitters for all foods, not just GMOs; this way, it is up to the submitter to pay for the proper testing, which the FDA approves or disapproves, or sometimes asks for more information. In an interview with Nathanael Johnson of Grist, even Hansen—one of the original signatures of the “no consensus” document circulated by ENSEER—could not identify a single GMO submission that did not include extensive safety data. “To believe these claims, means you’re saying the regulatory system is corrupt, and incapable of discerning science,” said Bruce Chassy, professor emeritus of Food Safety and Nutritional Sciences, Department of Food Science and Human Nutrition, University of Illinois at Urbana-Champaign told me. The conspiratorial mindset infects many anti-GMO critics. They see a vast network of subterfuge: university scientists and regulators, directed by the giant hand of Monsanto to “control” the world food supply. Utterly absurd. For starters, Monsanto is not even that large; its annual revenues are about on par with Whole Foods. 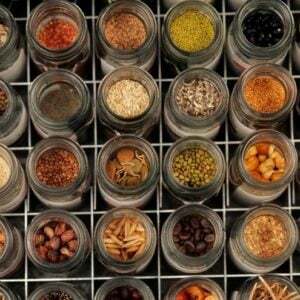 It sells about one quarter of the world’s seeds, with seeds being only a tiny fraction of the world food system. This is the kind of black-hat view of the world that captures the imagination of fevered teens. But the anti-GMO industry seems locked in perpetual adolescence. Here is a more granular look at the regulatory hurdles—far too high say many scientists, with barriers set up based more on fear than promoting safety—for GMO crops in the United States. Biotech crops go through rigorous testing for several years before they are ever put on a farmer’s field. In the United States, there are nine steps in the process that usually take 7 to 10 years to complete, which is far more rigorous process than any conventionally derived food ever goes through. Any notion that conventional and organic foods are automatically “safe” is a dangerous myth, as anyone familiar with the story of the Lenape potato can attest. Conventionally developed in the 1960s for the snack business, it made a damn fine potato chip. Unfortunately, it was kind of toxic, and was withdrawn. This idea, perpetrated by activists, that GM plants are uniquely at risk of producing unexpected side effects, is just plain wrong. In fact, because of rigorous testing of GM crops, it is far more likely that an allergenic or unintentionally toxic new conventional/organic food would get to market than a GM variety—which is why many global science agencies contend that GM crops are actually “safer” than their counterparts. In the United States, the USDA/Animal and Plant Health Inspection Service is responsible for ensuring that any released organisms are safe and will not pose serious risks for the environment, whereas the EPA evaluates the safety of transgenic plants containing potential allergens. They consider where and how the protein is produced in the plant and its potential to be toxic to humans and other organisms. “Regulatory review from the USDA and the EPA is mandatory in every sense—there’s nothing even legalistically voluntary about that,” Johnson noted in Grist. All agricultural products must pass field-testing required by the USDA, and allergen testing required by the EPA. The development of a transgenic plant requires researchers to meet with one or more regulatory agency (EPA, USDA/APHIS, or FDA) to discuss the outline of the projects and decide which studies will be necessary to ensure safety of the end product. Throughout the study the developer sends the data of the ongoing research to the appropriate agency. For many biotech crops, the product then goes through a deregulation process in which the USDA/APHIS reviews the data received from the developer and decides whether or not the transgenic plant causes a negative outcome in the environment by genetically crossing with native species or out-competing them. They also try to ensure that the transgenic plant does not have any negative effects on wildlife, and does not become a “super-weed.” The overall goal of the regulatory agencies is to ensure that biotech crops are as safe as their non-genetically modified counterparts. What about the claim made by organic activist scientist Charles Benbrook and repeated endlessly by anti-GMO activists that there have been few or no long-term studies? That’s false. The independent database GENERA, set up at the University of Wisconsin, lists more than three-dozen examples of multi-year studies showing no unusual health consequences from consuming GMOs. And a recent review of 29 years of livestock health and productivity statistics published in the Journal of Animal Science—looking at relevant data from both before and after the introduction of genetically engineered feed and covering more than one billion animals—concluded that GM feed is every bit as safe and nutritious as non-GM. The data review, overseen by University of California-Davis geneticist Alison Van Eenennaam, is unusual because of the vast trove of records examined. No, they were not just “industry data,” but mostly records provided by farmers and the U.S. government. Van Eenennaam reviewed heath parameters including somatic cell count (SCC—an indicator of mastitis and inflammation in the udder) and pre and post mortem condemnation records in cattle, as ill cattle cannot be approved for meat, as well as mortality in the poultry industry.“It should be noted that if animals are sick they do not grow well, and growth rates have not be affected by GMO feed,” Van Eenennaam told me.The paper also summarized the results of two thorough multigenerational studies that examined the long-term effects of feeding a GMO corn variety to food-producing animals, specifically, a German study in dairy cattle and an Irish study in pigs that included several papers looking specifically at health indicators. These independent studies were notable in that they included appropriate control animals consuming isogenic non-GE lines of corn, and both comprehensively examined a range of phenotypes and indicators of health using sophisticated techniques including histopathology and hematological analyses. These papers found that transgenerational consumption of these GMO corn diets was not detrimental to animal health. But “it is not a controlled study,” claim critics. Of course not. It’s impossible and unethical to do a three-decade study, on animals, let alone on humans. It’s also useless; those who claim that there are no “long term” studies on GMOs (not true; there have been dozens) and then object when three decades of data do not confirm their prejudices are apt to get belligerent.It should be underscored that animal feeding studies are the basis for evaluating the safety of GMO crops. 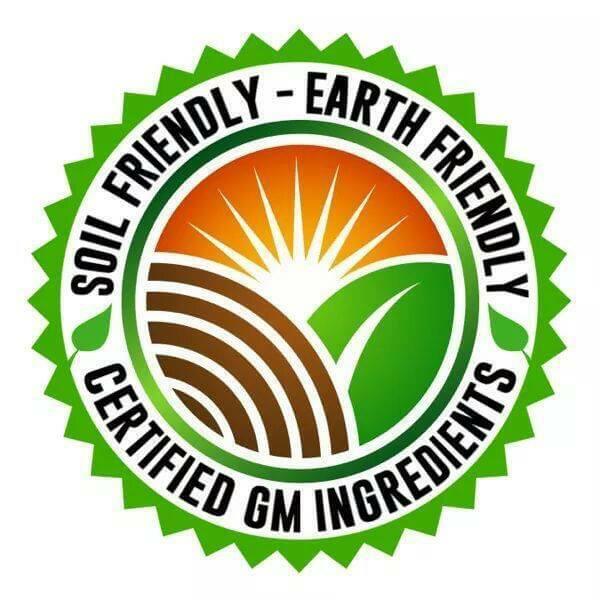 The data also show that GM feed is safe and nutritionally equivalent to non-GMO feed. There was no evidence of any health risk to the animals and no evidence to suggest any health effect on humans who eat those animals. The practical fact is that after 30 years of experience using GM crops as animal feed—and for the record, even anti-GMO Europe uses GMO feed—there is not one documented case of any health problems. Invoking the “precautionary principle” and claims of possible future unknowns or unintended consequences are nothing more than ideologically fashionable ways of playing the fear card. Have there been a few studies of lab animals that hint at the potential for potential problems? Absolutely. But they number a few dozen at most, set against thousands that have found no adverse issues. One animal GMO corn-glyphosate study by Séralini garnered wide attention with pictures of grotesquely distorted rats, but it was retracted because of its many methodological flaws and misleading conclusions, after which it was republished without peer review. But think about it: If his data were credible and 80 percent of food in the United States was poison, his sure-to-be Nobel Prize winning paper documenting this horror would not have had to be published in the Environmental Sciences Europe—an obscure ‘pay for play’ journal with zero gravitas. Good journals would not, did not, accept the tortured statistics, missing controls and over-interpretation of limited data; Seralini had no place else to go literally except to buy his way into a dicey publication. In the absence of serious GMO safety concerns, activists and fellow traveler skeptics in the “liberal” community are reduced to raising side issues, such as blaming biotech crops (read: Monsanto) for the rise of so-called “superweeds.” Invoking Little Shop of Horrors imagery, they claim that the use of glyphosate—an extremely mild pesticide that homeowners can buy at one’s local Do It Center—paired with GMO seeds is courting ecological disaster. Anyone writing that is not a farmer or geneticist. Glyphosate preceded the GMO revolution by 15 years and has led to a dramatic reduction in toxic spraying per acre. But what about “superweeds”? Let’s dump the scare jargon: superweeds are not ‘super’ in any real sense of the word; they are just weeds that have evolved to evade a particular weed management strategy. If you have ever seen a dandelion so short that it has almost no stem, you have seen a superweed. That dandelion’s super power is crouching down, so that lawnmowers cannot get it before it goes to seed. Crop losses before harvesting average 35 percent worldwide currently. What would those losses be without pesticides like glyphosate? More like 70 percent, say agricultural experts. Periodic resistance to pesticides has been growing for about 40 years—in parallel with the rise of large-scale farming, both conventional and organic. Let’s keep this in context: there are 150 weeds overall that resist some kind of herbicide; one, and far down the list of risky, is glyphosate. It has become the bogeyman for those with no working knowledge of agriculture who want to flog GMOs by proxy. Will there be next steps in the GMO revolution? As I hope I have made clear throughout, the concept of GMOs as a “category” of food to be embraced or rejected, in whole or in part, is silly from a science point of view. I used the term “GMOs” throughout this essay as a concession to the popular vernacular, but the term is both meaningless and misleading. GM is a process. Each GM crop is unique. There exists a range of viewpoints about whether genetic engineering promotes deleterious farming and ecological practices—the so-called dangers of corporate controlled industrial agriculture; or the over-production of commodity crops that some say contribute to our collective weight problem. Those are important issues; they just don’t apply specifically to GMOs. In that context, many of those who maintain that GMOs are potentially harmful, while sincere for the most part, are engaging not in science but in politics. Let me give you an example. Anti-GMO NGOs often claim that the safety of genetically engineered foods cannot be assured because Big Ag funds most GMO research and there have been almost no long-term safety studies. I fear inquisitive consumers who read attacks on GMOs and believe this will be left feeling scared, mistrustful and conflicted about our farmers and food system. Vigorous debate over the future of food is healthy, but this obsession with GMOs has driven reasonable discourse into the ditch. Used appropriately, genetic engineering is a fantastic tool—to create new life-saving drugs and encourage cutting edge ecologically based farming technique. We must increase food output to meet a burgeoning world population that is also becoming more affluent. No tools in our toolbox should go to waste.